Phondini Partners presents iMenloPark, the must-have Community app for visitors and locals alike to Menlo Park, Atherton and Woodside. 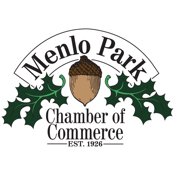 Menlo Park is a city of beautiful, tree-lined neighborhoods and active commercial districts. Located conveniently between the major metropolitan areas of San Francisco and San Jose, Menlo Park is home to more than 30,785 in its 19 square miles. The stunning natural surroundings of the city afford views of the San Francisco Bay to the east and the Pacific Coastal Range to the west. Menlo Park’s climate is moderate to warm, with an average of 265 sunny days a year. The city retains a bucolic flavor and was declared Tree City USA for its abundance of trees. Menlo Park’s residents reflect a range of backgrounds and interests and tend to be well-educated and engaged in community life. Its many young families are served by excellent public and private schools, while residents of all ages enjoy the City’s 13 parks and numerous recreational facilities. The city’s close proximity to Stanford University and Menlo College provide a multitude of academic, cultural and athletic event opportunities. The arts and leisure activities of the major urban areas of San Francisco and San Jose are close by. These and many other amenities contribute to Menlo Park’s outstanding quality of life. Located in the heart of Menlo Park is a downtown featuring unique and upscale shops and restaurants. Set in a pleasant, pedestrian-oriented atmos-phere, Menlo Park’s downtown area attracts locals and visitors alike. Known as the “Venture Capital” of the world, Menlo Park is well-situated to benefit from and help shape new technologies and markets originating from the Silicon Valley. The city hosts such major employers as SRI, Sunset Publishing, the US Geological Survey, OfficeMax Regional Distribution Center, Tyco Electronics and Facebook. We're working to improve iMenloPark all the time so please let us know if there are any improvements or additions we can make.